New Expanded relationships in Saudi Arabia, UAE, US, Guyana, Germany, Malaysia, Indonesia, China and more. 2018 - AAPM maintains TUV Accreditation and is the first in the USA to earn ISO 29990 Certification for Training. 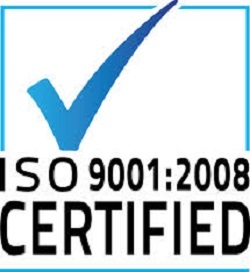 AAPM also maintains ISO 9001 Program Quality Certification. 2016 The GAFM and the CHEA Council for Higher Education Accreditation (CHEA)International Quality Group - MOA Memorandum of Affiliation signed by the GAFM/IBS and CHEA Quality Group. The purpose of this Memorandum of Affiliation (MOA) is to establish and promote partnerships with quality assurance/accreditation bodies world-wide, with a view to encouraging the use of the Principles as a foundation of shared understanding about quality at an international level. AAPM is in alliance with the CEC Certified e-Commerce Consultants which has been offering e-business certification for about 20 years. 2016 - June - Professor Title Awarded - Dr. Ir. Fauzi Hasan, MM., MBA has been awarded the distinction of Professor of the Academy by the Board of Standards. Dr. Fauzi is now a professor of the Global Academy of Finance and Management and the American Academy of Project Management. 2016 June - AAPM consults with Telkom Indonesia and trains and certifies new groups. 2016 - AAPM has new offices in Frankfurt Germany and London UK with new training agreements. 2016 - AAPM International Board of Standards Renews Member Agreements with Institute of Credential Excellence, American National Standards Institute. September 2013 - Other qualifications of the AAPM are listed and published by the US Department of Labor.